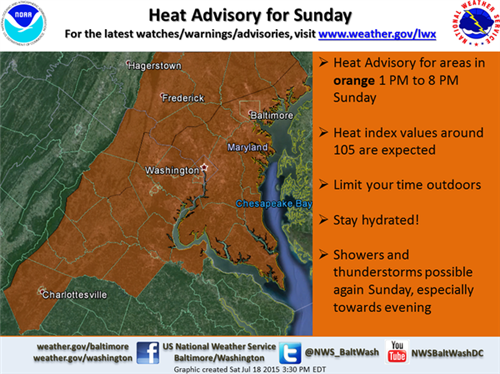 WASHINGTON – The National Weather Service has issued a heat advisory for the D.C. area from 1 to 8 p.m. Sunday. Temperatures will be in the middle to upper 90s, with heat indices of 100 to 110 degrees. According to the National Weather Service, a heat advisory means that a period of high temperatures is expected. Combined with high humidity, that means heat illnesses are possible. If you work outside or planning on being outdoors, it is advised that you schedule strenuous activities in the early morning or evening. Storm Team 4 Meteorologist Steve Prinzivalli says you should slow down, stay hydrated, dress in light-colored and loose-fitting clothing. Be sure to check on pets and the elderly to make sure they are cool and comfortable. Prinzivalli says the heat and humidity will persist into the start of the new work week, with this Monday in the middle to upper 90s. 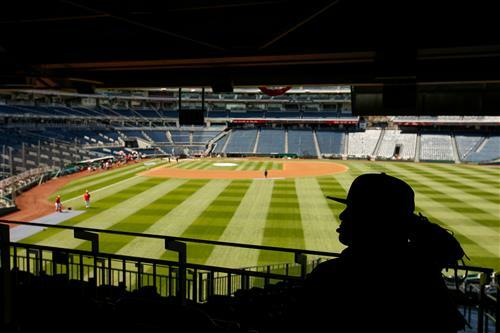 If you’re planning to go to a Nats game this weekend, the park is prepared to keep guests cool. Head to the Roosevelt and Kennedy rooms for air conditioning and ice water, and a spokeswoman says misting fans will be in place throughout the park. Guests can also bring handheld, battery-operated fans and two 1-liter, factory-sealed bottles of water. Looking for a cool treat on a sweltering day? Sunday is National Ice Cream Day, and you can cool off by checking out some freebies offered at area ice cream shops. When the heat index reaches 95 degrees, D.C.’s Heat Emergency Plan is activated. The city provides several cooling centers, spray parks and pools to help you beat the heat. 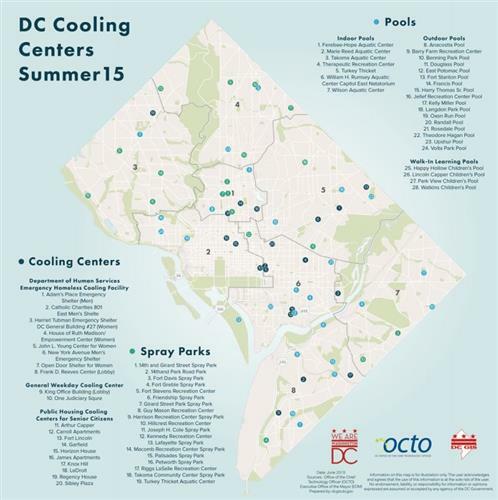 Click here for more information about D.C. cooling centers.